Brookfield is a town in Orange County, Vermont, United States. It was created by Vermont charter on August 5, 1781. Brookfield is best known for its floating bridge which spans Sunset Lake buoyed by pontoons. The bridge, which is the only floating bridge east of the Mississippi River, was originally built in 1820 by Luther Adams and his neighbors. Sunset Lake is also the site of an annual ice harvesting festival. 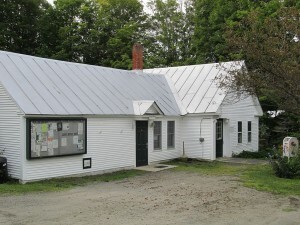 Brookfield boasts that it has Vermont’s oldest continually operating library dating back to 1791.